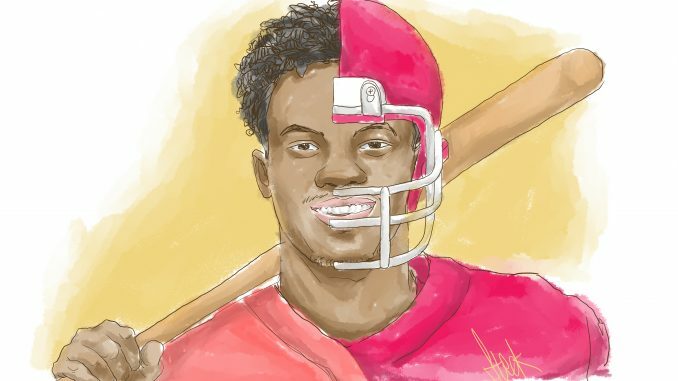 Heisman-Trophy-winning Oklahoma quarterback and outfielder Kyler Murray was a two-sport athlete in college, displaying tremendous talent in both football and baseball. With excellent performances in both sports, Murray is an MLB and NFL prospect. But Murray is a quarterback, so he cannot play both sports professionally. Quarterback is often considered the hardest position in sports, and because Murray’s 5-foot-9-inch height puts him at a disadvantage, he cannot spend time playing baseball while trying to develop as a quarterback. In June 2018, Murray was selected ninth overall by the Oakland Athletics and signed a $4 million contract with the team shortly after. Despite that, Murray declared for the NFL draft six months later. Murray’s decision shows that he is leaning toward football, despite the fact that he’s more likely to succeed in baseball. There has never been a quarterback of that height who has excelled in the NFL. Playing in the NFL is a major risk for Murray. But as a baseball player, Murray could be a star. Before Oakland selected Murray in the 2018 MLB draft, MLB executives and coaches had high praise for him. Murray’s former Oklahoma baseball coach compared him to star outfielder Andrew McCutchen. Former executive Jimmie Lee Soloman said if Murray chose baseball, he would not see the major leagues for a couple of years as he would work his way up the minor league. The pay in the two sports for star players is similar, but baseball stars can make more money than star football players over time. Murray could make his decision on NFL draft night, when he figures out how much his NFL contract will be worth. The NFL knocked the MLB off its pedestal as “America’s Greatest Pastime” long ago. But now the change has trickled down to the athletes themselves — the MLB cannot even attract an athlete who is clearly better for the sport. 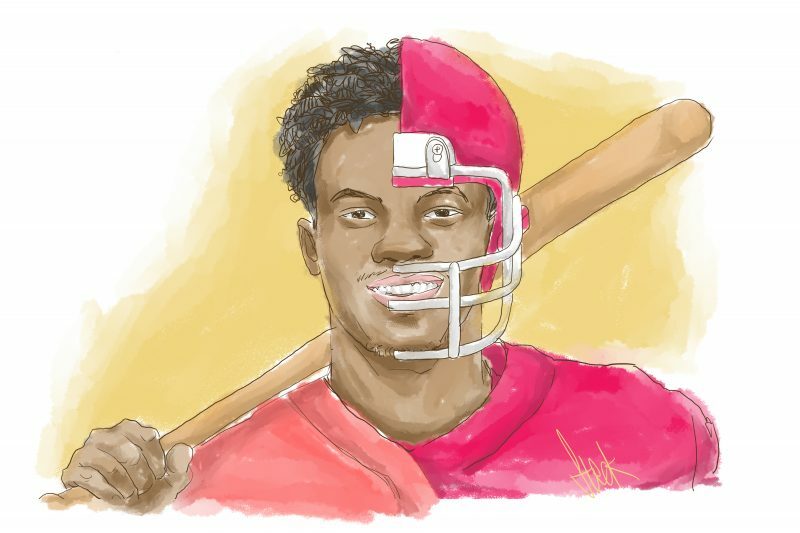 Thanks to analytics, baseball, with its “three true outcomes (i.e., home run, strikeout, walk) philosophy, is becoming one-dimensional and unattractive to multifaceted athletes like Murray. After all, with his talents, does he want to be turned into nothing but a “launcher” who does nothing but swing from the heels in hope of home runs? In addition,would his speed, which would have been valued in the multi-faceted baseball world of the 1970’s, be useless as he just sits in the outfield watching the other team’s “launchers” either strike out or hit home runs well over his head?